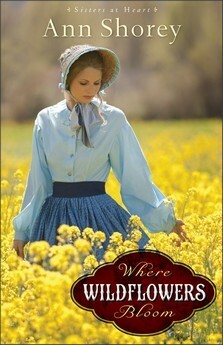 From Goodreads.com: The War Between the States stole a father and brother from Faith Lindberg-- as well as Royal Baxter, the man she wanted to marry. With only her grandfather left, she dreams of leaving Noble Springs, Missouri, and traveling west to Oregon to start a new life, away from the memories that haunt her. But first she must convince her grandfather to sell the family's mercantile and leave a town their family has called home for generations. This is one of those stories where although religion does play a part - it is a small part - small enough that even those who aren't keen on "christian" or "religious" stories should find something to like. One of my favorite things about this novel is the growth that we see within the main character Faith. She starts off being this girl who is enamored with the "thought" of someone, and the belief of one thing, only to have everything she thought she knew rocked to its core. We as the reader get to follow her on her journey from becoming a "girl" to a "woman" and all the difficulties faced therein. I will say that at first I did not like Faith at all - the way she seemed to go behind her grandfather's back with important matters did nothing to endear me to her, however by the end she was a character that I could (and did) enjoy. I will say I was slightly disappointed in that by the synopsis I thought there would have been more to the romance between Royal and Faith than what there actually was. Even though it was explain in a way that would make sense due to the age of the characters when events first happened and now - there was still something missing that made it hard to believe in (or get behind) a romance between them. This is just the first in a series of stories set in this town - and while I enjoyed this one, I am at this time unsure as to whether or not I will continue. Overall, if you are looking for a sweet read where the main character grows up and comes into herself then this is for you. However, if you like a main character who is strong from the get-go, you might want to pass this one over.